Skin Hooks are a constant, repeated necessity in care homes, and Care Shop, the UK's leading provider of care home supplies, offers the best in skin hooks to institutions and homes that make use of them. 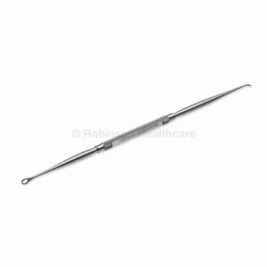 Care Shop offers a variety of skin hooks suitable for every purpose, and they are manufactured to the highest standards and delivered ready for use. 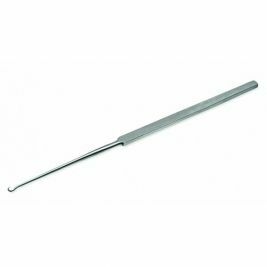 From the respected Gillies brand, Care Shop offers a variety of skin hooks in both single and bulk quantities. Individual Gillies skin hooks are of varying lengths, some equipped with finger loops for secure holding and precise use, while others are straight for convenient storage and easy handling. 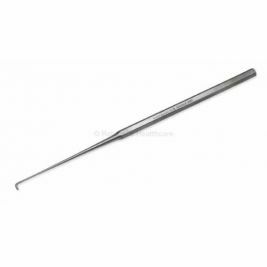 Care shop also offers packages of 20 single-ended, 18 cm skin hooks with a secure grip on one end and a precisely milled, durable tip on the other. Skin Hooks There are 4 products.